These were among the ideas touted earlier this summer at an invitation-only conference on Forbidden Research at the MIT Media Lab, which drew upwards of 500 scientists, engineers and other technology-oriented types. Attendees carried programmes bearing the slogan "You don't change the world by following the rules" and attended sessions on hacking culture; exiled information leaker Edward Snowden spoke via video link. A "disobedience prize", which conference organisers said would reward "pro-social" acts of defiance, is in the works. To be fair, disobedience isn't always a good thing. Rules that rein in science weren't created to forbid knowledge, but to prevent scientists from harming people in the process of acquiring it. And the conference's forward-thinking line-up lacked historians or others who might offer a look back at the important topic of regrettable research. I sent the programme to medical ethicist Arthur Caplan, who hadn't been invited. He said contemporary scientific ethics are based on the guiding principle that it's wrong to harm or kill for the alleged good of the many. This is generally regarded as the product of enlightenment. But while ethical standards are critically important to contemporary science, they are also, by definition, limiting - and sometimes, on specific points, worth challenging. And for scientists, it can be dangerous to go up against established norms, given that most researchers depend on public funding and can't afford to be seen as reckless or, worse, "mad scientists". The conference organisers suggested that some self-censor, afraid to talk about their ideas. They promised we would hear from some of them. To their credit, the participants were trying to get taboo topics out in the open, so members of the public could consider their risks and benefits. At the conference, some of the speakers were grouped under the umbrella theme "Messing with nature" - a sentiment which reflects the fact that some technological feats are unnerving, even if no humans or animals are harmed. 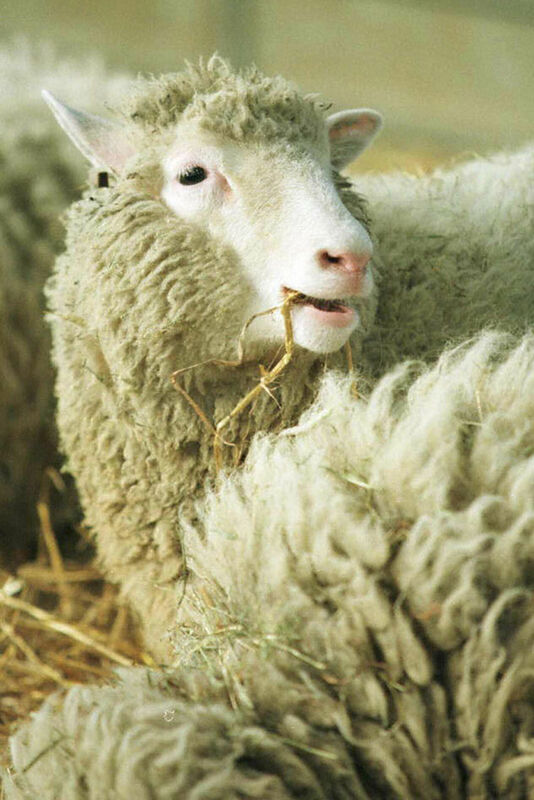 Many people were disturbed by the cloning of Dolly the sheep, and, more recently, by a proposal to synthesise a human genome from laboratory chemicals. Genetic engineering makes many people uncomfortable. Opponents refer to genetically modified (GM) crops as "frankenfoods" and a newly approved GM salmon as "frankenfish". All of those frankenfoods have been extensively tested and deemed safe to eat. But releasing modified organisms to spread through the wild is another thing altogether, with opportunities for unknown unknowns to spring up. There, getting consent is critical. MIT biologist Kevin Esvelt said he's done just that - convincing residents of Martha's Vineyard to allow him and his colleagues to release a mouse that's been genetically modified to resist Lyme disease, with the hope that resistance genes would spread through the island's natural population. This is old-fashioned technology compared with so-called gene drive - a sort of GM technology on steroids in which genes carry instructions to hasten their own spread. Gene drive, said Dr Esvelt, is powerful enough to quickly drive a targeted species to extinction, whether it's an invasive plant or disease-carrying mosquito. Biotech may also grant humanity the power of "de-extinction". Scientists can read the sequences of genetic code from old DNA, and then make a clean copy from scratch. One of the panellists, Harvard biologist George Church, has said in his writings and many public talks that the technology is here now. They could start experimenting with eggs and synthetic extinct animal DNA at any time - just as soon as there's a demand, approval, funding, and perhaps a plan for where to put the previously extinct animals (since it didn't go well for them the first time around). Professor Caplan said this kind of talk calls to mind the expression, "playing God". The problem isn't the perception that scientists are godlike, he said, but that they are playing. Continuing the "Messing with nature" theme, a panel of scientists explained how they could inject aerosol particles into the upper atmosphere in an attempt to cool the globe by causing the atmosphere to reflect more sunlight. The moderator, Mr Stewart Brand of Whole Earth Catalog fame, labelled it "hacking the entire planet". With such enormous risks and payoffs at stake, it's not okay to keep quiet. Scientists shouldn't fear for their jobs if they talk about ambitious, risky research. But they owe us all the right to informed consent. If they want to change the world, they'd better find ways to do it - and talk about it - while still playing by the rules. The panellists, Harvard physicist David Keith and Harvard economist Gernot Wagner, said what they saw as the biggest objection is what they call "moral hazard" - the fear that people would see this form of so-called geoengineering as a safety net and consider it a licence to continue to emit greenhouse gases. There are other reasons to be concerned. On the plus side, getting the aerosol particles up there can be done relatively inexpensively. On the minus side, the scientists don't know the full effect they would have on winds, humidity or extreme weather events. The particles might damage the ozone layer without some additional mitigating factor. Professor Keith said such questions could be answered with a series of small-scale, reversible experiments. But so far the topic has been taboo. "We're talking about whether this is something that's okay to talk about," he said.